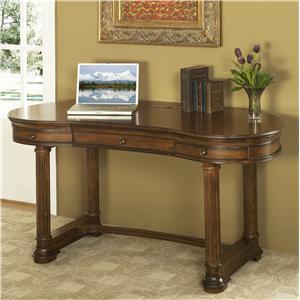 This sophisticated writing desk makes a dramatic statement in your home office. 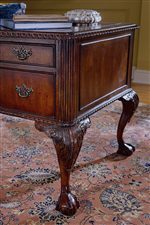 With a stately and ornate appeal, this functional desk with cabriole legs that end in ball and claw feet features a center drawer with a drop-front option for use as a keyboard tray, one file drawer for letter size legal files, and two utility drawers with a mousepad drop-in. 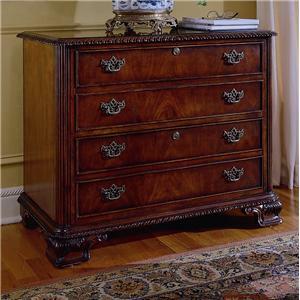 The top of this classic desk option features faux leather inserts on top to complete the timeless design. 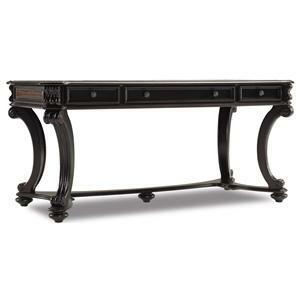 An intricate and mature option that speaks volumes about your quality taste, bring this desk into your home today. 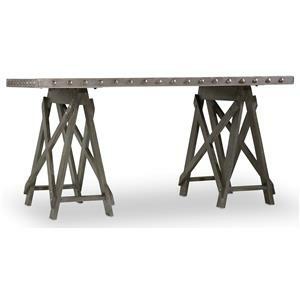 The 434 Ball and Claw Writing Desk at Sprintz Furniture in the Nashville, Franklin, and Greater Tennessee area. Product availability may vary. Contact us for the most current availability on this product. Wire Management Desks and computer cabinets feature the Power Director II power center with two switched electrical outlets, one phone “out” jack, one high-speed data “out” port, and one USB port on the front.